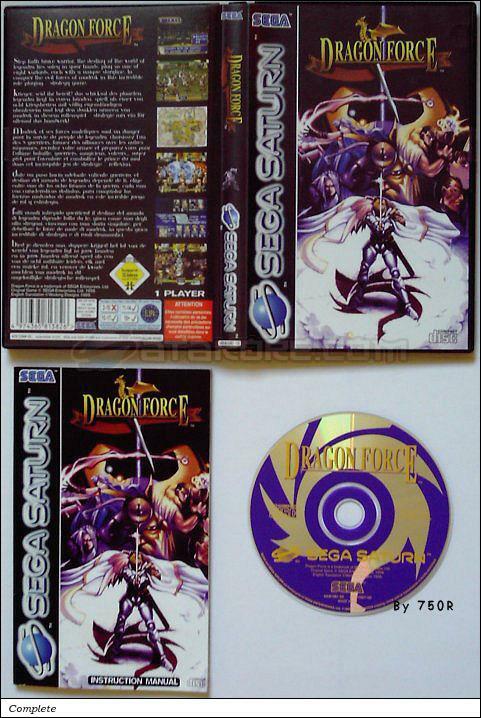 Dragon Force is a Simulation - RPG game, published by Sega Enterprises, Ltd., which was released in Europe in 1997 for the Sega Saturn. DISC_ABS.TXT file and DISC_BIB.TXT file contain some information. 6 Australian Version (Sega Ozisoft): Sticker on the Front Cover (Age Rating), Sticker (Optional) and Barcode on the Back Cover (Optional) ? ?